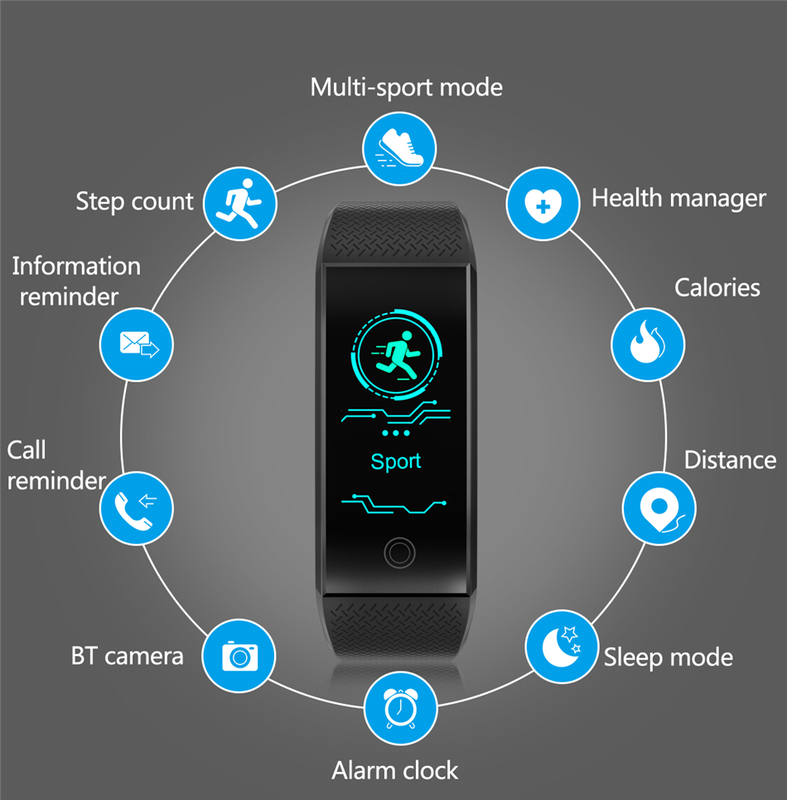 ● Health Monitoring Function: Sleep monitoring, heart rate monitoring, sedentary reminders. ● Standard Sport Function: Step count, calorie burn, distance. ● Display: Time display, date display, temperature and weather display. ● Multi-sport Modes: 7 exercise modes help you better understand specific activity data. Sports modes, including basketball, walking, climbing, PingPong, badminton, football and cycling modes, are easy to operate and switch, and datas are instant on the screen. ● See Calls & Messages on Your Wrist: Connected to the "Fundo" APP, can receive call, weather information, SMS and SNS (WhatsApp, MSN, Twitter, Linkedln, Instagram, Facebook) notifications on display; never miss the messages that matter. Automatically Sleep monitoring: sleep time & sleep quality. Smart reminder:call reminder, messaging push, sedentary reminder. More features: phone search, remote camera shoot, stop watch. ● Compatible System: Android 4.4 and above, IOS 7.1 and above.